( ´ ▽ ` )ﾉ Hello ladies, I was invited by Joy Magazine to attend SHOP MAC event. MAC Cosmetics is launching a Limited Edition collection for this Spring Summer 2012. MAC Shop, Shop, Shop, Cook, Cook, Cook (omg the name is so funny, bahahhahaha). The collections are Cremeblend Blush, Eyeshadow Quad, Lipstick and Kissable Lip color with bright and pretty summer/spring color. I came with my sister because I need someone to help me took the pictures there and Thanks to her, She won't mind XD. I came 30 minute late (I wonder why I always late -_-). Met with Bella, one of IBB members. (IBB=Indonesian Beauty Blogger). This is my first time meet with her. hehe ❤ She's so nice! Pricil, Nisa and Hanna. ｡◕‿◕｡ from IBB. 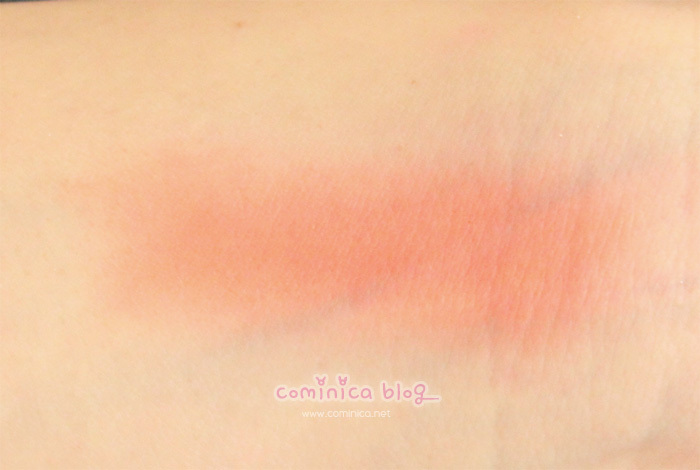 The color is really pigmented and build-able with just one slide! I might add MAC lipstick to my wishlist next, hahahha. 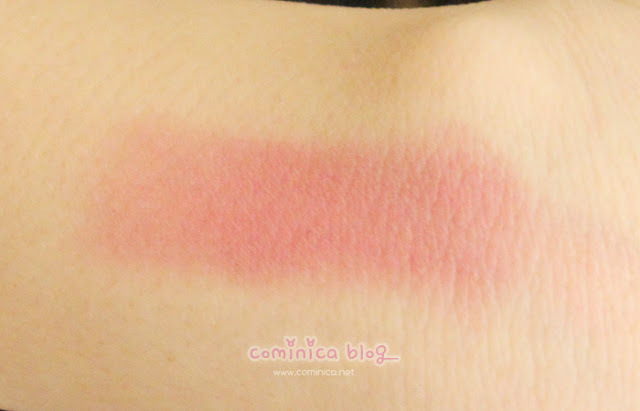 MAC Cremeblend Blush, so pigmented! 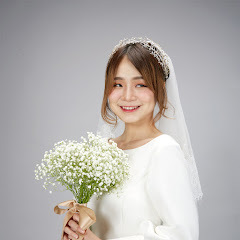 Btw, *one of the MUA there is praised my false lashes, lol he said I look so dolly, but I should apply white eyeliner on my lower waterline to complete the look, I would totally look like doll with it. LOL, I will try it next time! Thanks for the tip ;D , I should ask his name first, hahaha. Because this is a collaboration event with Joy Magazine, I got a magazine (AGAIN?) lol, and the issues are same too, bwhahahahaha I'm going to give it for my sister friends or anyone. 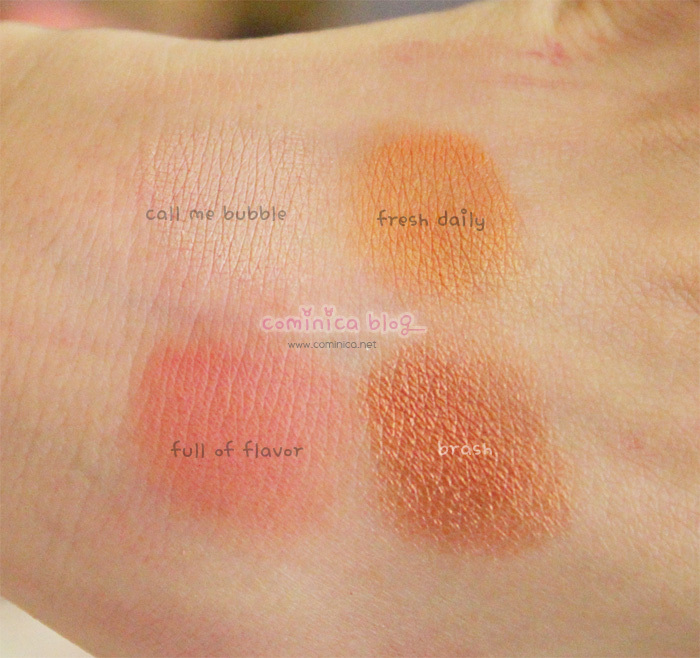 Thanks for reading ladies, Have you try MAC Shop, Cook product? MAC is my favourite brand and I have A LOT of it. ahaha. The packaging might be "boring" to some people who are into girly designs like jill stuart etc, but it doesn't look professional. They do special packaging with some collections such as hello kitty, liberty of london, christmas, etc. MAC carries themself as a professional brand so it looks sleek and sophistocated. Shop X Cook came out in Feburuary for us in Canada. I totally stalked up on the tendertones. They are my favourite lip balms. 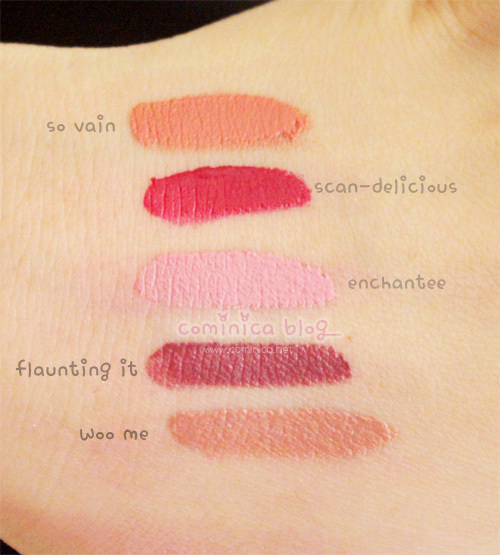 I also have the scandalous and so vain lip cremes from peacocky and I love them. They are super pigmented. I also have watch me simmer which is nice. MAC lipsticks are honestly my favourite, especially the new mattes, creamsheens and amplified creme. And I've never used MAC products before, but I want to orz. Congrats on winning best dressed. Mac products are amazing, but the packaging is too boring indeed haha! ;_; Is the font you use for swatches the one on samsung phones. It's very cute ah. 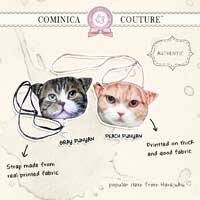 comi cantiik bangeet & baju nya cute ^^ . congratz yaa uda menang best dress. The collection seems to be a hit or miss with a lot of people but I really liked it!! I posted a review of this collection here: http://chewylove.blogspot.com/2012/04/mac-naturally-shop-mac-cook-mac-vera.html Hope you can check it out. aduh, itu look medel2nya so dreamy ya. too good to be true gitu TT_TT *mimisan* lol. noo it's rixgomaejum! :D aww thank youu Kath!